only € 29.90. Here you can buy or extend the Premium Membership. The code will be sent within 24 hours after payment by email. only 29,90 €. There are no shipping costs for this product. Within 24 hours after receipt of payment, we will sent an email with the registration code. This activation code can be redeemed immediately or later. As soon as the code is entered, the premium year starts! 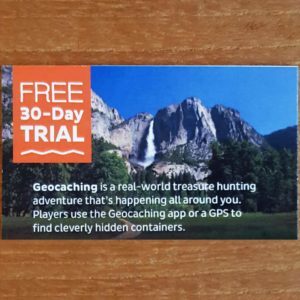 The Geocaching Premium Code is also transferable. This means You can also give away the code as a gift. 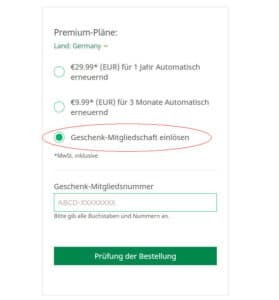 no subscription, does not renew automatically. You have many more features. Access to all geocaches and this results in more adventures. Direct download in GPX format from the cachelisting incl. description to the GPS device. Download PQ query, pocket queries – these are user-defined geocache queries. You can sent them to you daily or weekly by e-mail. I have included a video below. Forgive favorites points to exceptional geocaches you’ve found. You can assign one point for every 10 caches found. Premium members can also have search results sorted by the number of favorites points. Visualize and publish your geocaching activity with bar charts and other dynamic information graphics in your personal profile. You see your geocaching chronology. Findings per month and year. You can view your matrix according to difficulty and terrain evaluation. Or check your series of consecutive days with finds. 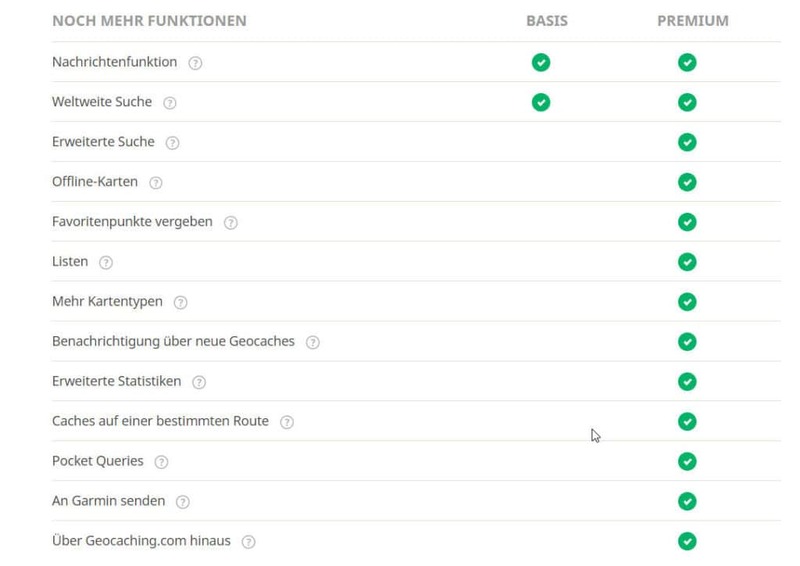 Premium members have the option of filtering by cache type on the overview map. You can also hide your hidden and found caches. You have more map providers to choose from, including Google Maps, MapQuest and OpenStreetMap. Organize geocaches, manage your favorites, and watch caches. Ignore geocaches to prevent them from appearing in search results. Bookmark Caches in categories such as “the best caches in the vicinity”. As soon as an action takes place on a watched listing, you will receive a notification by e-mail. Create individual searches by location, difficulty and terrain or attributes. Sort the results by the number of favorites, the hidden date or the date of the last find. Filter geocaches in the search. Create instant nightings to specific log entries for geocaches within a certain radius. Many geocachers like to use this feature to be informed about new releases of geocaches within their home area. Be the first finder (FTF) of a geocache after receiving the notification. As soon as a reviewer publish a new geocache, you will receive the notification. Search for geocaches along a route. Tell us where you drive and we will tell you which geocaches are along the way. A very useful feature if you have a longer drive ahead of you. 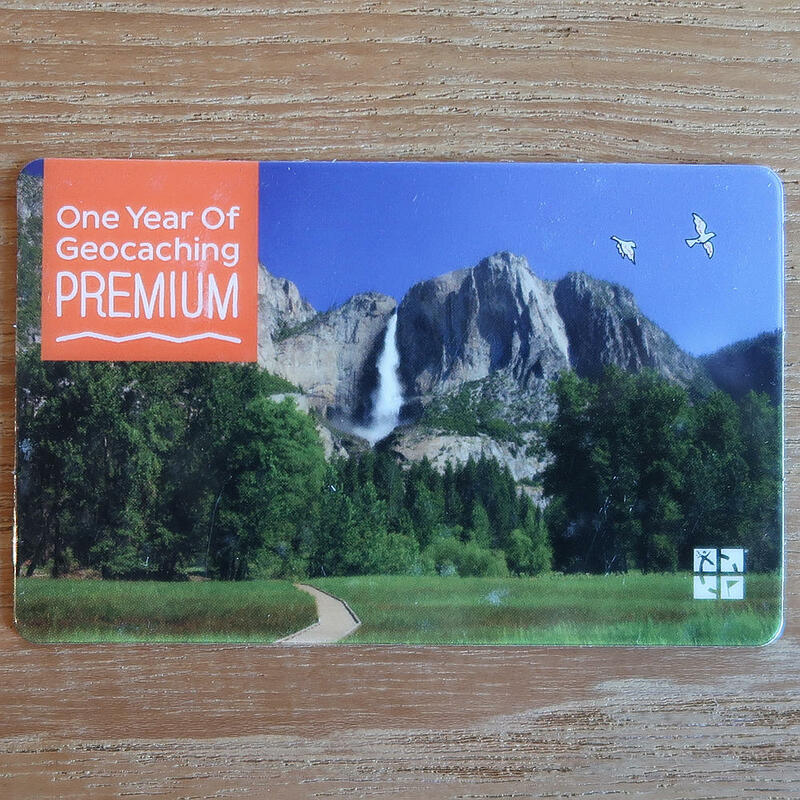 Some geocaches display only premium members. As a Geocache Owner you can set each of your own Geocaches, i. e. the listings to the status “Premium members only”. In the meantime, these functions are being used more and more often. If your geocache is only visible for premium members it has an additional function. The audit logbook, now you will see who called the geocache description, i. e. who called the listing, when and how often. This is especially popular with Mystery Geocaches, so you can follow who is working on the tricky puzzle. In this graphic the difference between the standard functions and the extended functions of the Premium Membership is visible at a glance. You also have access to all geocaches. Independent of terrain and traffic, as well as the different types of geocaches. That’s all, if there are still questions, write it in the commentary. 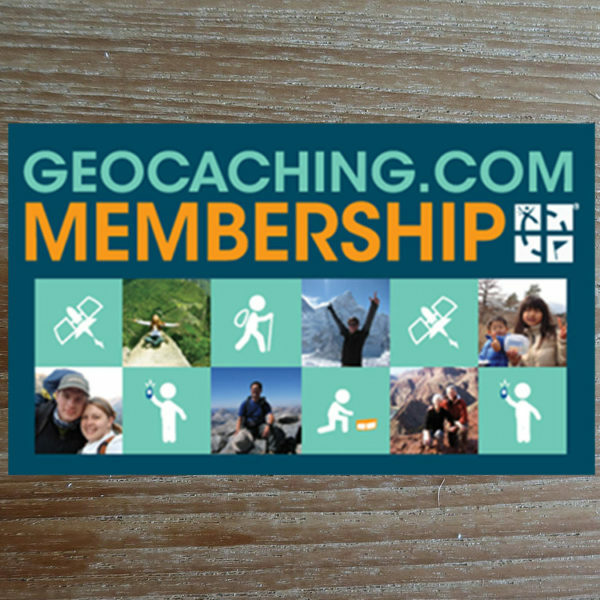 So simply you can order the Geocaching membership here in the Geocaching Shop, watch the video, it only takes 3min. no PayPal account required for the annual fee, a German bank account is sufficient. Of course, IBAN can also be used in the European area. it is not a subscription, the offer is not renewed automatically. You can decide for yourself whether you want to continue paying the annual fee. I will send you the code by email within 24 hours after payment. Therefore there are no shipping costs. 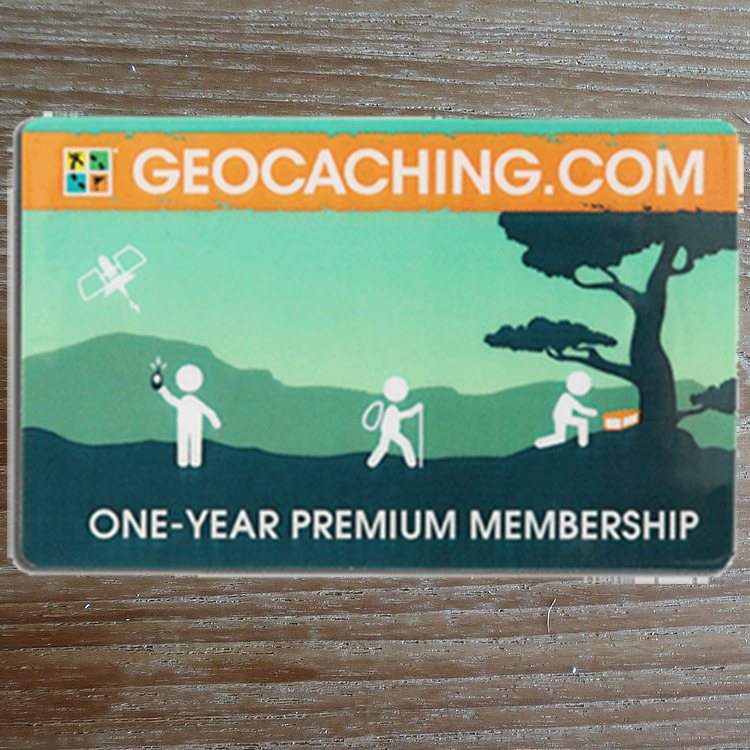 We wish you a lot of fun with the Geocaching Premium Membership. See you soon in the woods. Seit einigen Jahren sind wir sehr zufrieden. So gab es auch diese Mal keinerlei Probleme im Zusammenhang mit der Zusendung des Code. Alles ging sehr schnell “über die Bühne)” Von uns gibt es die maximale Punkte- bzw. Sterne Zahl. “Blitzübertragung” des Code für die Premiummitgliedschaft! Das nenne ich mal Service!!! Würde glatt einen Favoritenpunkt vergeben 😉 Vielen lieben Dank!!! !